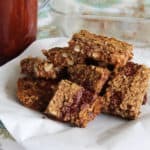 Nutty Bars and Bread-vegan, gluten free, dairy free snacks. 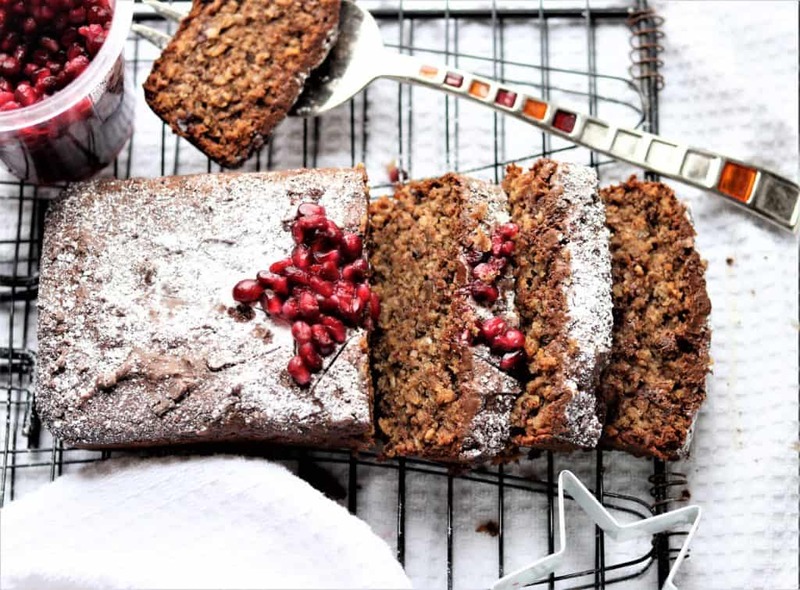 Nutty Bars and Bread. Don’t have time for your bowl of oatmeal? 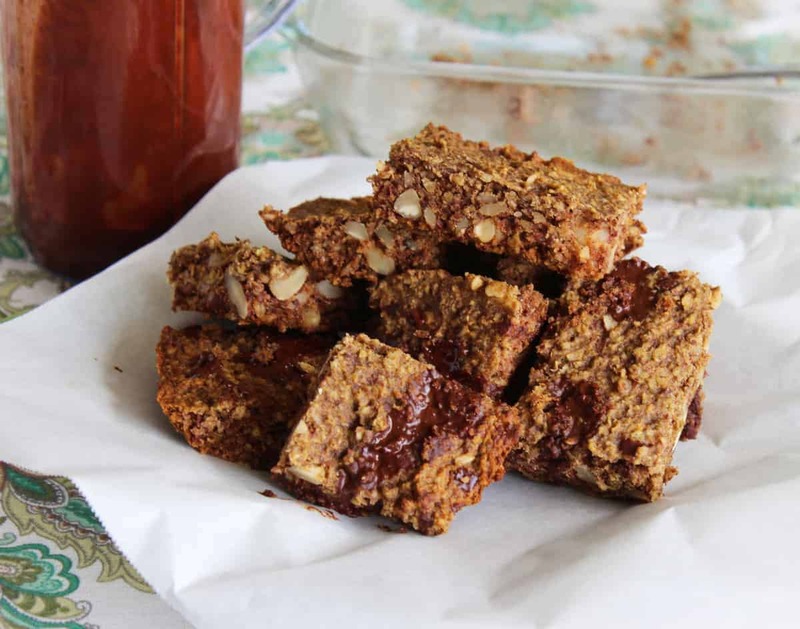 These breakfast bars are full of nutty goodness with oats, almonds and dates. Forgive me if I sound like a nutrition geek/nerd, but in addition to all that good stuff, there are the benefits of chia and hemp seeds which include fiber, protein, Omega-3 fatty acids and various micronutrients. Yes, I did say these are vegan, have no added sugar, are gluten and dairy free. When you taste them, they seriously are better than processed store bars and can rival even the best dessert. 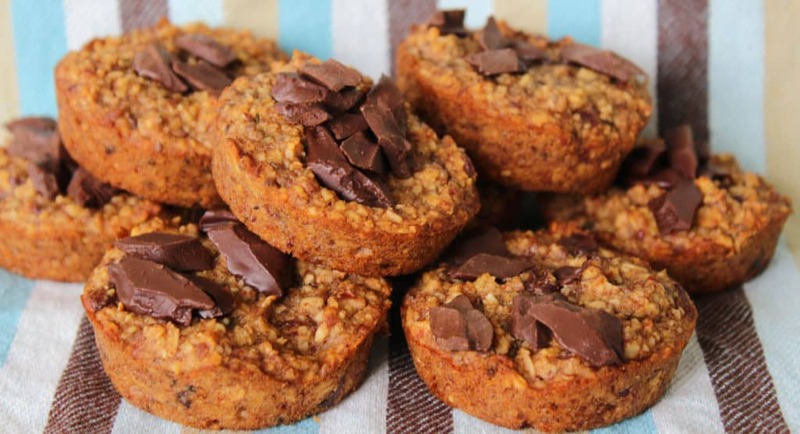 This recipe makes 12 bars, or 12 mini muffins—or if you make bread, 1 loaf. Nutty Bars have loads of goodness and nutrients. Vegan, gluten free, dairy free. Let cool and slice. Drizzle with cacao sauce or chips if desired. Pour batter into loaf pan which has been greased with coconut oil. Bake at 350 for one hour. 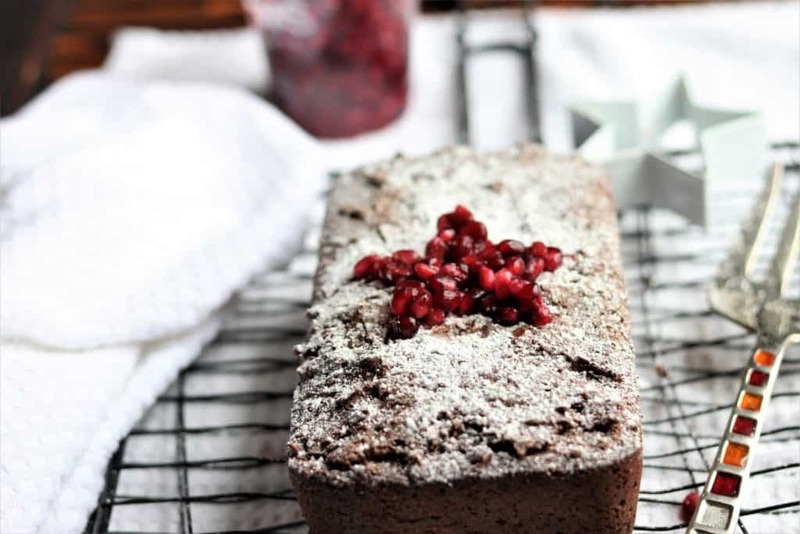 After cooling, dust with powdered sugar and sprinkle pomegranate seeds on the top.